9 Amazing LGBT Festivals & Events Around the World! Who says you have to wait until June to celebrate Pride? From black tie galas to leather-clad street festivals, these queer events around the world will have you celebrating all year long! From Austria to Australia there is something for everyone to enjoy. The Rainbow Ball begins with the entry of the opening committee, followed by a night packed full of gay festivities. 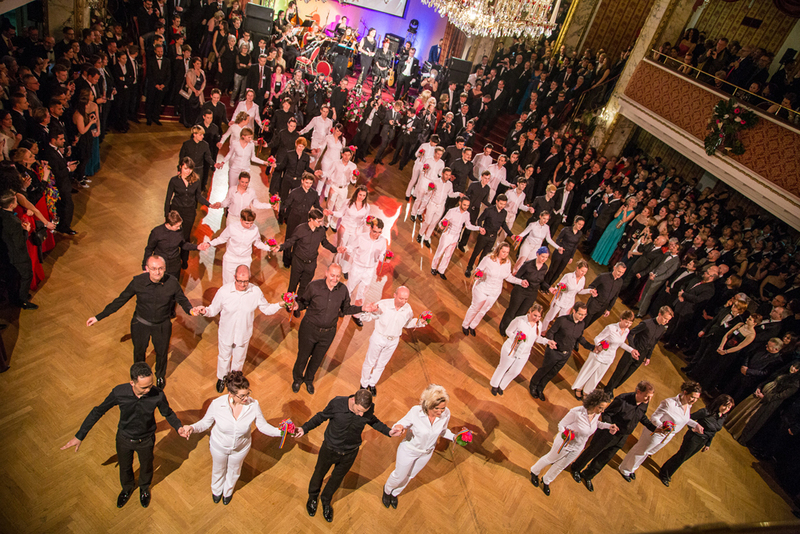 The Annual Rainbow Ball will dazzle the Austrian capital on January 26, 2019 as the gay highlight of Vienna’s famous ball season. 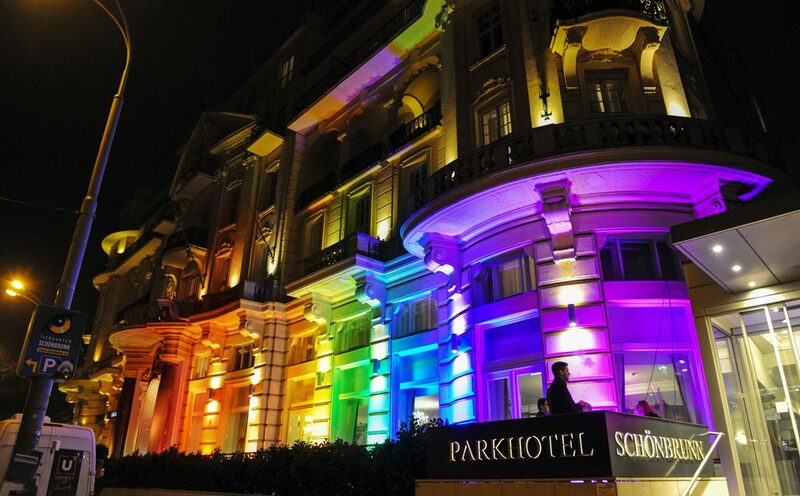 This huge party invites 1,500 gay, lesbian, transgender, and ally guests to dance the night away in the beautiful Parkhotel Schönbrunn. A live orchestra takes the main stage while contemporary bands and DJs keep the event fun and exciting. Come dressed in your finest (or most creative) formal evening attire and revel in one of the world’s most spectacular LGBT events. Many Australian organizations take part in the Mardi Gras parade. 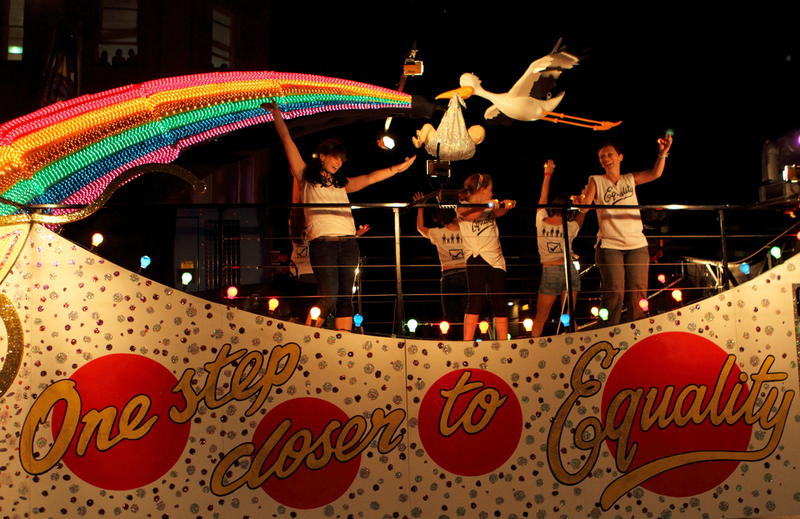 Get ready for a spectacular celebration at the Sydney Gay and Lesbian Mardi Gras. From February 15 – March 3, 2019, enjoy events such as Mardi Gras Fair Day in Bicentennial Park, where food vendors, concerts, and games will be held all day long. Another popular event that draws hundreds of thousands of visitors is the Mardi Gras Parade, which follows a 1.7km route from Whitlam Square to Moore Park. Colorful floats, dance troupes, and marching bands will depict the festival’s annual theme. Don’t miss the wild post-parade party at EQ More Park, with a lineup of local and international DJs. Cape Town Pride is not just an annual parade. It is a ten-day festival celebrating all the diversity of South Africa’s LGBT community. Held this year from February 22 to March 3, 2019, the festival includes a Pride Film Premiere, a Pride Pool Party, a Pride Pageant (where Mr. and Miss Gay Pride will be crowned), a Pink Ball, and the classic Pride Parade, plus plenty of other celebrations and discussions surrounding LGBT issues in South Africa and worldwide. Proceeds from events go to Pride Shelter Trust, a nonprofit providing shelter for homeless LGBT people in Cape Town. Come party for a good cause and support Cape Town’s LGBT community. Celebrate the people and organizations working to guarantee fair and accurate portrayals of LGBT people in the media. This year, the 30th annual GLAAD Media Awards will be held on May 4, 2019. Past recipients of the Excellence of Media Award include Joy Behar, Tyra Banks, Glenn Close, and Russell Simmons. Many other activists including Jazz Jennings have also been honored at the GLAAD Media Awards. Check the GLAAD website for updates on presenters and ticket prices. All proceeds help GLAAD combat anti-gay defamation across the US. 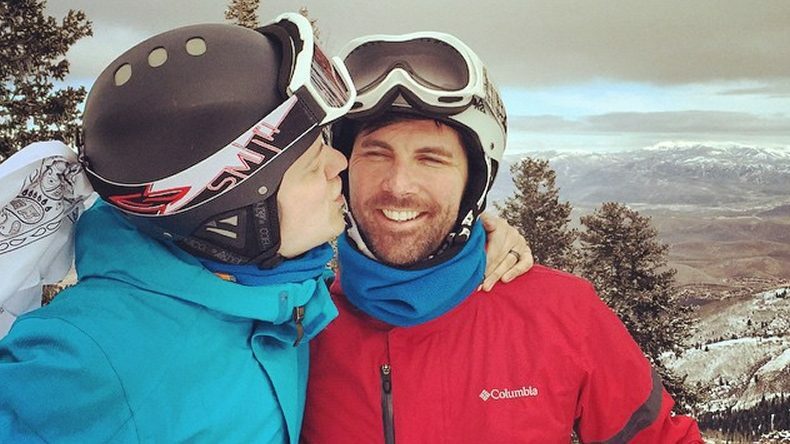 The annual Utah Gay Ski Week will once again take place over Presidents’ Day Weekend, February 21-24, 2019. Expect many outdoors-y types looking to have a good time in and out of the snow. There will be a series of parties including Welcome Apres-Ski in Park City on Thursday, and of course a night in the Salt Lake City gay scene on Friday. Make sure not to miss the Gear party on Saturday, where leather gear, snow gear, and sports gear are all welcomed and encouraged. ChillOUT is an annual festival transforming the beautiful Central Victoria spa region of Daylesford into a four-day celebration of LGBT pride. It is Australia’s largest and longest-running rural LGBT Pride festival, and is slated this year for March 7-11, 2019. Attracting thousands of visitors, the event features a hugely popular parade, an all-day carnival, and a dance party. ChillOUT is a nonprofit community-based organization dedicated to celebrating LGBT pride, and what better way to support this great organization than by partying? Folsom Street East is the East Coast’s largest queer street festival of its kind: one that creates a safe space out in the open to embrace sexuality and sexual orientation. It’s entirely volunteer-run with the ultimate goal of eradicating stigmas and celebrating every fetish, kink, and sexual identity within the LGBTQ community. Their upcoming festival will be held on June 23, 2019, falling just before the start of World Pride. From February 28 to March 5, 2019, Gay Mardi Gras is second largest gay-focused event in New Orleans, second to Southern Decadence in the fall. Come party in the lower French Quarter, the center of Gay New Orleans. Fabulous DJs will pack beautiful patrons and dancers in The Bourbon Pub, a.k.a. the Parade Dance Club, the city’s largest gay nightclub. If you get a weekend pass, you can bypass all the club lines while also saving money. Special internet-only hotel rates are also available online. After and during the parade, Miami Beach Gay Pride will also have a festival for the community. 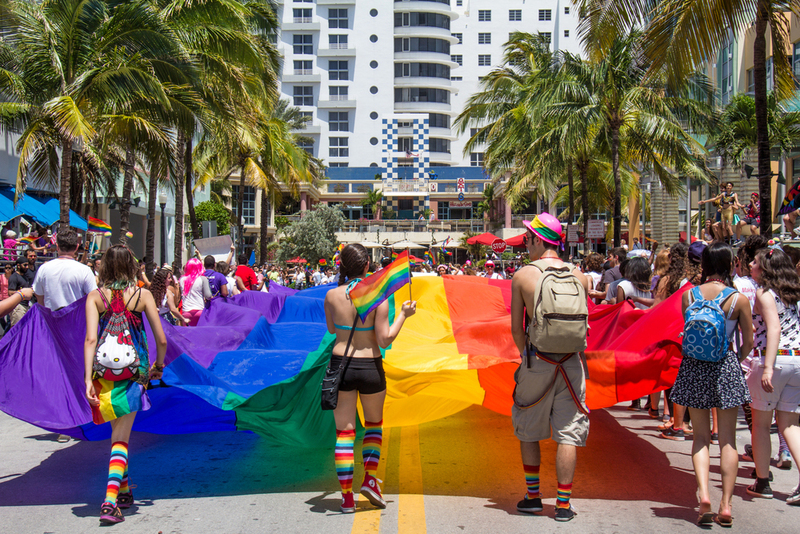 Miami Beach Gay Pride is celebrating its annual Pride Parade and Festival from April 1-7, 2019. Beginning at noon, Ocean Drive will be filled with colors as LGBT people and their friends come out and show their beauty, strength, unity, and talent. The festival will feature celebrity presentations, musical performances, refreshments, and food. This year, Miami Beach Pride will be representing and supporting the Matthew Shepard Foundation, which works to eradicate hate crimes and move toward a peaceful future for the LGBT community.